You are currently browsing the The Pet Product Guru blog archives for the day Monday, July 28th, 2014. 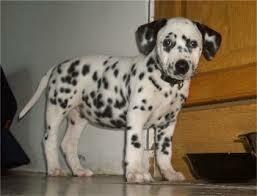 The Dalmatian stands between 19 and 24 inches high. They have short hair and are well muscled dogs. They have been bred as working dogs and their owners should keep in mind that they need lots of exercise. Their spots range in size from about a dime to a half-dollar coin, and they may also overlap. Grooming tools are necessary because Dalmatians shed constantly. They should be groomed everyday to keep their hair from getting on everything. Dalmatians are prone to diseases like hip dysplasia. They are also prone to skin problems. bladder stones and deafness. Their temperament can vary. Some can be very shy, others can be aggressive while some can be awkward. They are an intelligent breed but training takes patience and perseverance. Check out our internet radio network for some great music. THE EDGEWATER INTERNET RADIO NETWORK!